Admiral was voted Best Car Insurance provider of the year at the Personal Finance Awards 2016/2017. You can get a quote from Admiral here or read our list of the Best Car Insurance Companies here. How does multi-car insurance from Admiral work? How much does an Admiral car insurance policy cost? How to claim on Admiral car insurance? What do Admiral customers say? What do the expert admiral car insurance reviews say? Launched in 1993, Admiral is a car insurance specialist that has since branched out to offer other insurance products, including home, van, travel, life and pet cover. Admiral provides a wide range of car insurance products, including single car policies, multi-car policies, cover for classic cars, and "black box" insurance, known as LittleBox. For single and multi-car policies, three levels of cover are available: third party only, third party fire and theft, and fully-comprehensive. Third party only covers damage done to other drivers and/or their vehicles, while third party fire and theft covers this, plus the cost of replacing or repairing your vehicle if it’s stolen or damaged in an act of arson. 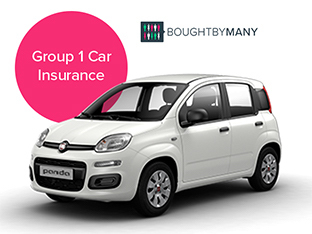 The most benefits are available through a comprehensive policy, which offers personal injury cover, named driver no claims bonus, windscreen cover, personal belongings cover and European cover for up to 90 days. Most of these benefits can be added to third party and third party fire and theft policies for an added premium. Motor legal protection is an optional extra for all policies. Admiral car insurance also offers a no claims bonus accelerator option, which allows drivers to earn a year’s worth of no claims discount after just 10 months of driving. Admiral multi car insurance policies offer a number of further benefits, such as replicated no claims discount (the amount of NCD from one car can be applied to subsequent cars) and general savings as further cars are added to the policy. A single policy date is applicable to all cars under multi-car cover, making it easy to keep track of renewals. For classic car cover, Admiral will insure vehicles that are older than 20 years and under 70 years, up to the value of £50,000. Classic car customers can enjoy a number of further benefits, including 90 days’ European cover and additional discounts for subsequent vehicles (classic or otherwise). Finally, Admiral car insurance for young drivers, known as LittleBox, is Admiral’s "black box" policy. It offers benefits such as free theft-tracking and no curfews, as well as the option to reduce insurance premiums by demonstrating safe driving, which is monitored by a black box recording device installed in drivers’ vehicles. However, to qualify for this kind of policy, the car must be worth at least £750 and be manufactured after 2002, and customers will have to drive at least 1,900 miles annually. Interested? Get an instant Admiral single car insurance quote here, an Admiral multi car insurance quote here, or an Admiral black box car insurance quote here. Admiral is really well known for its focus on multi-car insurance deals, providing cover for several cars on one policy for a discounted price. Every car in a multi-car policy gets its own discount. Cars don't have to be registered at the same address to be included in the same policy and earn a discount. So if you have friends or family that live separately from you, you could add their vehicles to your policy and they will be able to earn their own multi-car discount. If a person insured on your policy claims or has a claim made against them only they're affected. You and none of the other policyholders won't be affected in any way, including no-claims discount. Each car gets its own no-claims discount that cannot be transferred to or affected by another policyholder. You can get multi-car discount on your policy before insuring more than one car by letting Admiral know you will eventually be adding additional cars to your policy when getting a quote. Admiral says that you will receive your multi-car discount immediately and any other car you add to your policy in the future will earn its own multi-car discount. Admiral says that between the January 2018 and June 2018, one in ten customers who provided best alternative price saved £345 on average. You can get a quote for Admiral multi-car insurance here. To make a claim by the phone, you can contact Admiral car insurance on 0333 220 2033, Monday to Friday from 8am to 9pm; 9am to 5pm on Saturdays and 10am to 4pm on Sundays. You can also claim online on Admiral's website. You will be invited to fill out a claim form. Admiral says they will be in touch within 24. The cost of an Admiral car insurance policy will depend on many factors, including the make and model of your car, your age, address and so on. The type of policy you choose will also have an impact on cost. According to Admiral, 10% of customers paid £248 or less between January 2018 and June 2018, but insuring several cars under a multi-car policy will offer better value than insuring them separately, while the cost of Admiral car insurance for young drivers LittleBox policy will depend greatly on your driving style – the better your driving, the cheaper the premium. Compared to many car insurers, however, Admiral’s policies are rather basic, offering you the option to add extras – for a price – that come as standard elsewhere. As such, customers should not expect to pay too high a premium price for its insurance. Get a tailored Admiral single car insurance quote here, a multi car insurance quote here, or a black box car insurance quote here. 98% of over 21,000 Admiral customers on Revoo say they would buy again from Admiral. On Trustpilot, Admiral scores 3/5 from over 2,500 customer reviews. Smart Money People has over 5,000 reviews of Admiral Car Insurance, rating it 4.72 out of 5 stars. Admiral has been voted Best Car Insurance Provider four years running at the Personal Finance Awards (2013/14, 2014/15, 2015/16 and 2016/17). Independent financial products reviewer Defaqto has given its policies 4 stars. "Very competitive quote and easy to buy the policy. I have another pet to insure in a few months and hope to receive another competitive ..."